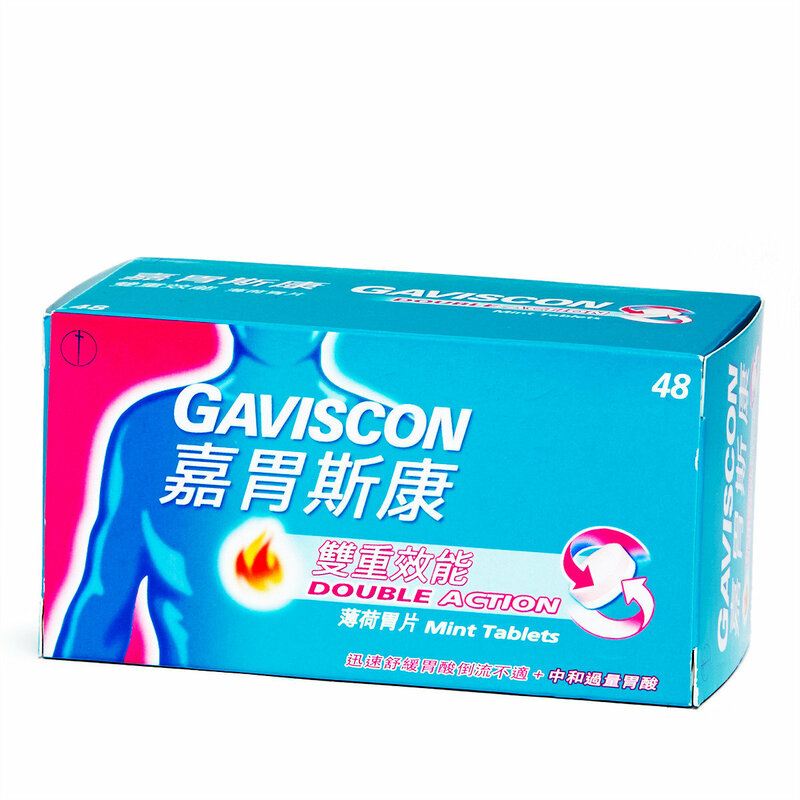 Gaviscon Double Action Liquid brings fast soothing and long lasting relief from the pain and discomfort of heartburn and acid indigestion. It firstly neutralises excess stomach acid to relieve pain and discomfort. And also forms a protective barrier over the stomach contents to soothe the burning pain in chest. • This product is sold to you by HKTVmall. • In situation where there are limitations, price, promotion offers and other marketing campaigns on the HKTVmall may varies from retail stores, the terms and offers are only applicable to HKTVmall. • Our store will protect your personal Information in accordance with the relevant provisions of the Personal Data (Privacy) Ordinance and in accordance with HKTVmall Privacy Policies. • Colour shown may be slightly different than actual products. • In the event of dispute, HKTVmall's decision shall be final and conclusive. • Our products will be delivered by HKTVmall, please refer to Shipping Information for more details. • Actual delivery time depends on the products ordered and the shipping time of the particular merchants. • All products are non-returnable. • However, if you received a product that is damaged or defectvie, please contact HKTVmall Customer Service via live chat within 7 days.